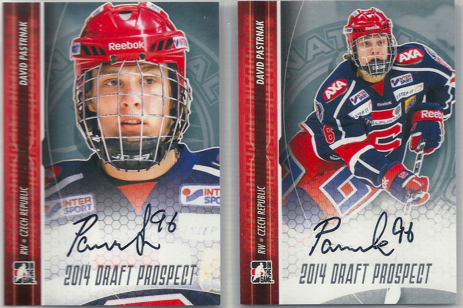 David Pastrnak #65 Draft Prospects /500 ex. David Pastrnak #65 Draft Prospects Bronze /25 ex. David Pastrnak #65 Draft Prospects Silver /10 ex. David Pastrnak #65 Draft Prospects Gold 1/1 Saknas! David Pastrnak #ADP1 Draft Prospects Silver Autographs /200 ex. 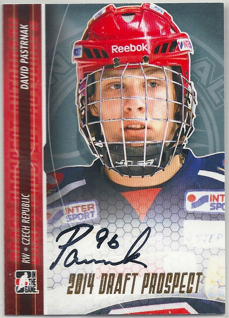 David Pastrnak #ADP2 Draft Prospects Silver Autographs /200 ex. David Pastrnak #ADP1 Draft Prospects Gold Autographs /20 ex. David Pastrnak #ADP2 Draft Prospects Gold Autographs /20 ex. Saknas!